Are you looking for end dumps for your project with more payload? Are you looking for an End Dumps Truck Broker? At Monzon and Son Enterprises we pride ourselves on our fleet of end dumps. Our end dump fleet consists of 15 very reliable End Dump trailers all of which can carry up to the legal limit of 80,000 GVW. We also have 3 end dump highsides. What does this mean for End Dumps? It means that while most of our competitors have 30-32 FT trailers (and can only legal 75,000 GVW), we have all 34-38 ft trailers. This means more payload, and the larger the payload, the larger the savings. Our End Dumps average 23 tons and 12 CY of payload. 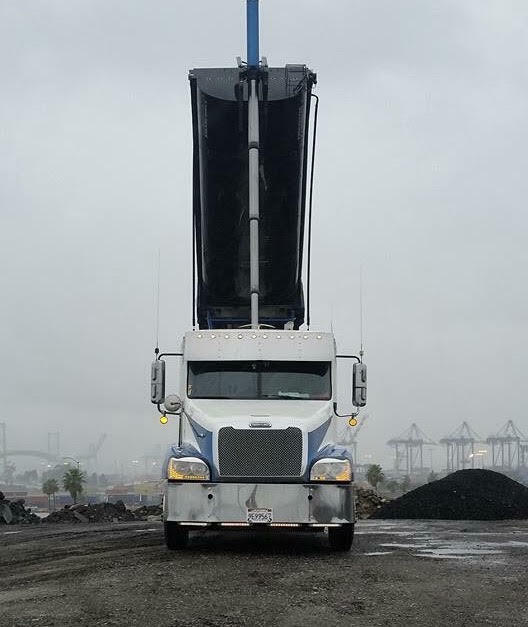 If you are looking for a company that can provide you with a fleet of End Dumps on time with superior customer services, please contact us today.